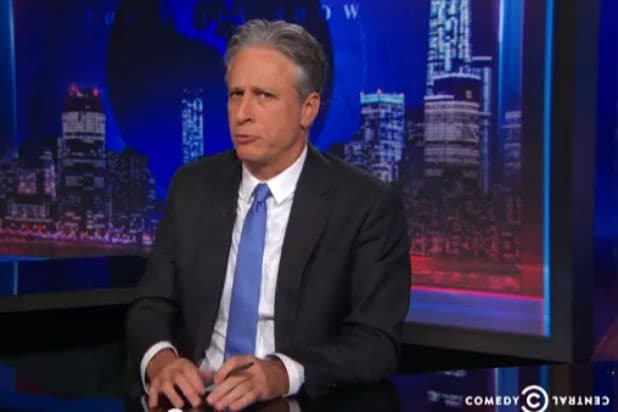 Jon Stewart will get a one month send off courtesy Comedy Central, the network announced Thursday. Called “Your Month of Zen,” the network will offer a continuous, multi-platform stream of every episode of “The Daily Show” Stewart has hosted, going all the way back to his first broadcast from January 11, 1999. The conclusion of the month-long marathon will coincide with Stewart’s final broadcast on August 6. The stream will be available at the “Daily Show” website and via the Comedy Central app. It begins June 26 at noon. Comedy Central Radio on SiriusXM will join the stream starting on Saturday, August 1 at 7am ET through Monday, August 3 at 7am. The 48-hour weekend event, dubbed “Jon Voyage,” will also be available through the SiriusXM App on smartphones and other connected devices. Recently, the show held a “News Your Own Adventure” poll allowing fans to vote for their favorite “Daily Show” clips from 20 categories. The winning segments will appear in “The Daily Show with Jon Stewart: News Your Own Adventure,” an original one-hour special written and produced by the show and hosted by correspondents Jordan Klepper, Hasan Minhaj and Jessica Williams from “The Best F&#ing News Team Ever!” The special will debut on Sunday, August 2 at 9pm ET/PT. Stewart announced in February that he would be departing the popular satirical news show after 16 years at the anchor’s desk. “It’s been an absolute privilege. It’s been the honor of my professional life. And I thank you for watching it, for hate watching it, whatever reason you were tuning in for,” Stewart said. Jon Stewart, Steve Bodow, Jen Flanz, Tim Greenberg, Jill Katz and Adam Lowitt are the executive producers of “The Daily Show with Jon Stewart” with Hillary Kun as co-executive producer. Pam DePace, Justin Melkmann and Stuart Miller are supervising producers. The series’ head writer is Elliott Kalan and it is directed by Chuck O’Neil. 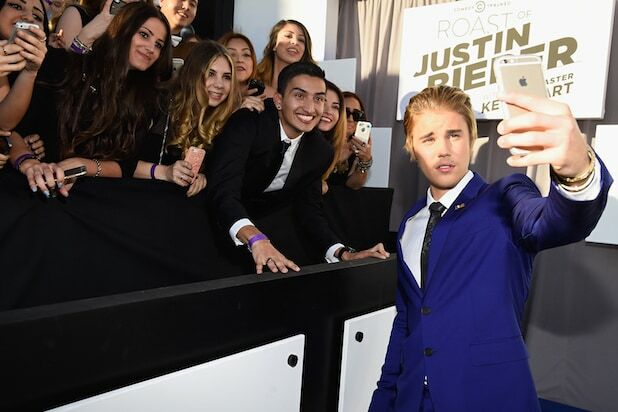 The man of the hour takes a selfie with Beliebers. Joining Roast Master Kevin Hart at the taping are roasters Hannibal Buress, Chris D'Elia, Natasha Leggero, Ludacris, Shaquille O'Neal, Jeffrey Ross, Snoop Dogg, and Martha Stewart. Special will air Monday, March 30 at 10 p.m.
We don't even want to know what comedian and roaster Jeffrey Ross is doing dressed as the pope. "Workaholics" actors Anders Holm and Blake Anderson show Justin Bieber the escape route. Yes, Justin, you have to leave your trailer. Actor and comedian Kevin Hart will serve as the night's roast master. Rapper Snoop Dogg, one of Justin Bieber's mentors, will roast the pop singer. Home economics doyenne Martha Stewart will roast the misbehaving Bieber. "Undateable" actor Chris D'Elia will serve as a roaster. Roast veteran Natasha Leggero won't hold any punches. "Pretty Little Liars" star Ashley Benson will watch them murder Justin Bieber with jokes. Roaster Shaquille O'Neal is around to judge if the jokes are a slam dunk. Chrissy Teigen is getting a leg up on the competition. Celebrity attorney Gloria Allred will make sure Justin Bieber doesn't get arrested. Justin Bieber waits backstage with a choir about to take the stage. Kendall Jenner, on left, and Kourtney Kardashian grab a drink while waiting for the roast to start. A winged Justin Bieber mannequin descended down on the roast. Comedians Hannibal Buress and Chris D'Elia, domestic expert Martha Stewart, rapper Snoop Dogg, and honoree Justin Bieber on the dais. Oh, Justin, you don't want to do that. Will Ferrell makes a surprise appearance as "Anchorman" character Ron Burgundy. Ludacris on Shaquille O’Neal: “Shaq is the first player in the NBA whose shoe size, IQ and jersey are all the same number. Martha Stewart, roastmaster Kevin Hart, and Justin Bieber on the dais. Shaquille O'Neal takes his turn at Justin Bieber. Justin Bieber gets his turn at the roasters. Justin Bieber is reunited with the adorable monkey he adopted then abandoned.